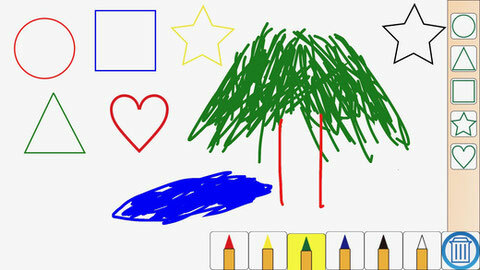 "Scribbling Board for Kids" is an drawing application specially designed for children between the age of 2 and 5. Requires iOS 8.0 or later. Compatible with iPhone, iPad, iPod touch. 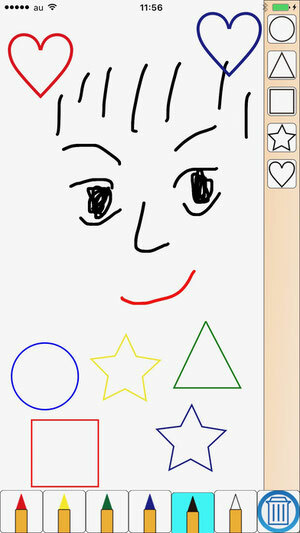 Children can draw pictures easily by intuitive operations. 1. 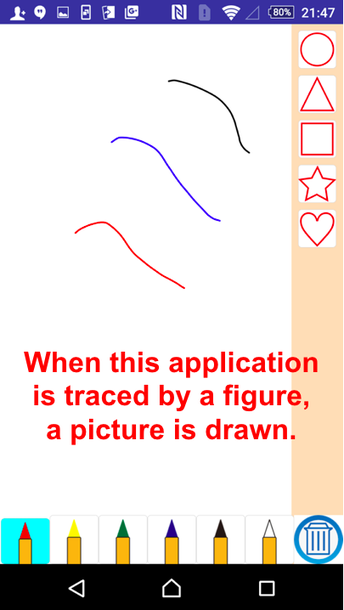 When this application is traced by a figure, a picture is drawn. 2. White, black, blue, green, yellow, red can be selected as the color. The color will change by touching each color pen. 3. 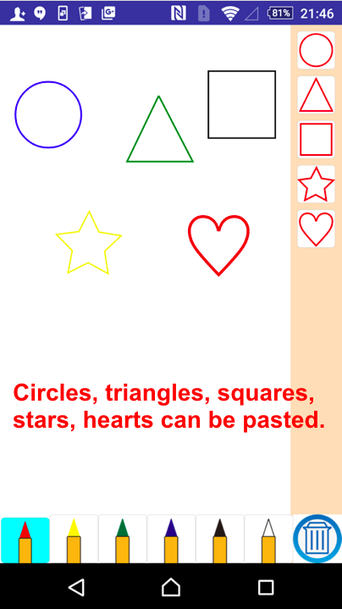 Circles, triangles, squares, stars, hearts can be pasted. 4. 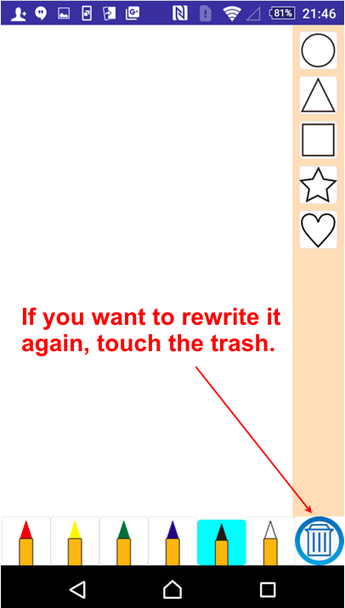 If you want to rewrite it again, touch the trash. 5. It can be used in portrait or landscape orientation.